Each spring, the RCMP erects a tipi at National Headquarters in Ottawa in celebration of our Aboriginal communities. 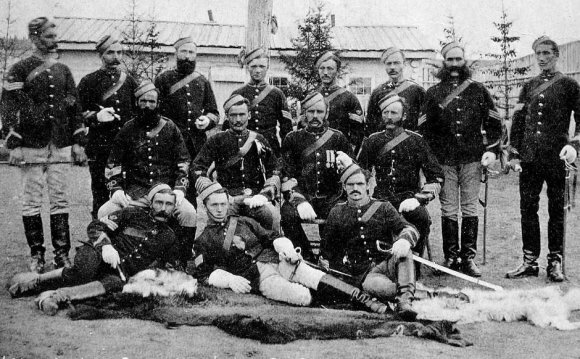 Since the earliest days of the Northwest Mounted Police in the 1870s, the RCMP has been a long-standing law enforcement partner of Aboriginal communities. We continue to develop a unique and important relationship with Aboriginal people living in Canada. The RCMP's National Aboriginal Policing Services (NAPS) is responsible for planning, developing and managing the organization's strategies and initiatives. NAPS works closely with Aboriginal groups to develop innovative policing approaches that meet their distinctive needs. Annual Performance Plans, which address an offence or negative social issue that concerns the community. The Grierson Centre is a minimum security institution in Downtown Edmonton. It is run and operated by Correctional Service of Canada.